Childhood is a time of frequent and intense dreaming for many people. 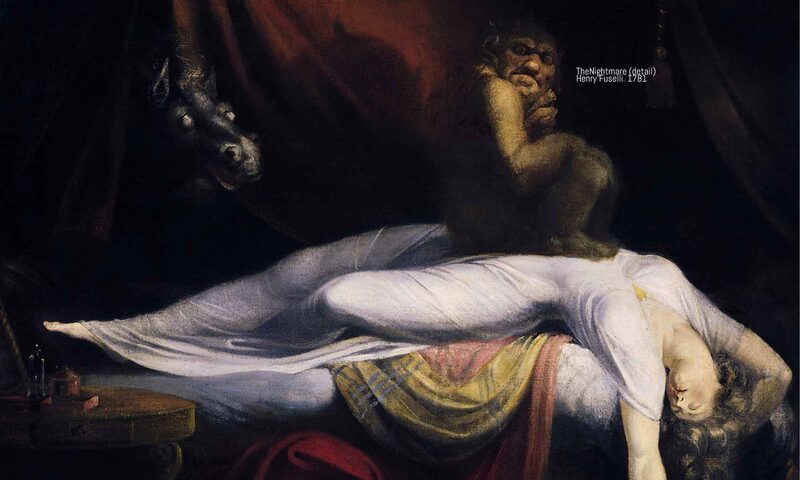 Often these nocturnal experiences from early life have a dark hue—children are especially prone to nightmares, sleep paralysis, and night terrors. But children are also more likely than adults to experience magical dreams of flying and lucid dreams of self-awareness. The whole wild world of dreaming, in all its strange complexity, seems more accessible in childhood than it is later in life. A rich tradition of children’s literature, going back to such classics as Alice in Wonderland, Goodnight Moon, and Where the Wild Things Are, has addressed the profound feelings of fear, wonder, and curiosity that often pervade children’s experience when they go to sleep and dream. Cartoons are another powerful medium that can reflect recurrent themes in childhood dreams (good examples include Little Nemo in Slumberland, Dream of the Rarebit Fiend, and the Sandman series). Cartoons on television have carried on this tradition, telling stories about dreams with much more psychological depth and power than many adults realize. These animated fictions about bizarre characters doing absurdly unrealistic things turn out to reflect the emotional reality of childhood with surprising accuracy and psychological insight. Two episodes from recent cartoon series can help to illustrate the point. The first comes from “SpongeBob SquarePants,” which first aired in 1999 on the Nickelodeon network and has gone on to become one of the most popular cartoons of all time. An episode in season 5, titled “Roller Cowards,” features dreaming as a valuable source of self-knowledge. 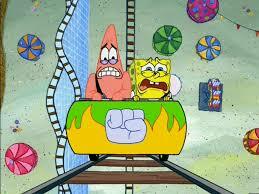 The episode opens with Sponge Bob and his best friend Patrick hearing about an amazing new roller coaster ride (“The Fiery Fist O’ Pain”) at their favorite amusement park. The night before they go to the park, Sponge Bob goes to sleep thinking about how much fun the ride will be. But then he has a nightmare in which the roller coaster leads to terror and death, and he wakes up trembling in fear. When Patrick comes over and asks what’s wrong, Sponge Bob says he just had a bad dream. Patrick quickly says he had a bad dream, too. Sponge Bob asks what he dreamed, but before Patrick can answer the bus arrives to take them to the amusement park, and away they go. 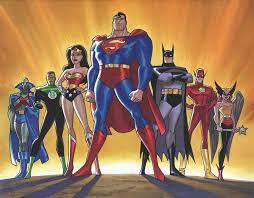 A second example comes from the “Justice League” series, which first aired in 2001 on Cartoon Network. Based on characters from DC Comics, the series gathers seven famous superheroes—Batman, Superman, Wonder Woman, Green Lantern, Flash, Hawkgirl, and J’onn J’onzz—who battle a colorful variety of super villains. 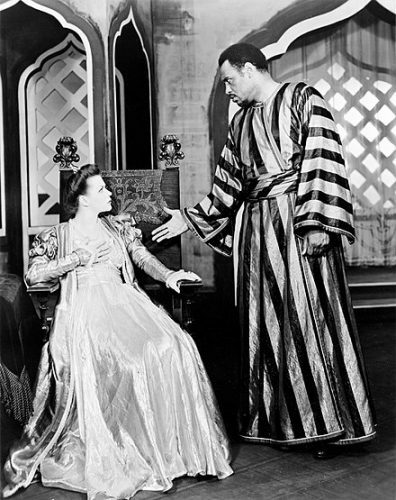 The second season presented a two-part episode titled “Only a Dream,” featuring a criminal named John Dee who uses an ESP-generating machine to transform his own brain into a powerful weapon that can attack people in their dreams. After murdering his faithless girlfriend, Dee—who has now taken on the nom de guerre of Dr. Destiny—focuses his evil power on the members of the Justice League when they fall asleep and dream. This is where the cartoon enters more sophisticated psychological territory. Dr. Destiny attacks each superhero at his or her weakest point, namely what they fear the most. This fear gives shape to the kind of nightmare that Dr. Destiny sends to each of them. For the super-speedy, wisecracking Flash, his nightmare involves never being able to slow down, so he can never again connect with normal people; as Dr. Destiny intones, his dream prison is “being stuck in high gear, alone forever.” In Superman’s nightmare he cannot control his increasingly destructive powers, which he tries to hide but cannot. His greatest fear is that his power will hurt the very people he cares about the most. The Green Lantern dreams that he goes back to his old neighborhood, but he recognizes nothing, and everyone speaks a different language. When people see him they flee from in terror; like the Flash and Superman, his deepest anxiety has to do with staying connected with other people despite his special powers and unique identity. 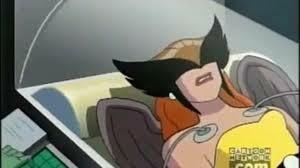 Hawkgirl’s dream is perhaps the most intense and frightening of all. After a false awakening that gives her a moment of deceptive reassurance, Dr. Destiny binds her wings and sends her plunging down to earth, straight into a yawning grave in which she is buried alive under a mound of dirt. For a superhero whose special power is flight, this would be a terrifying nightmare indeed. Batman, meanwhile, has managed to stay awake, but barely. Dr. Destiny haunts the periphery of his sleep-deprived consciousness, nearly causing him to crash the Batmobile. Fortunately for the Justice League, J’onn the Martian Manhunter has the ability to go into people’s dreams and help their dreaming selves fight back against Dr. Destiny. J’onn serves as a kind of shamanic warrior and therapist, telling each of the superheroes what he or she needs to hear to rally their strength and break free of their nightmare. Each of them alone cannot defeat Dr. Destiny. But once they find new sources of strength within their dreams, the collective might of the Justice League (sans Wonder Woman; she does not appear in this episode) is enough to overthrow Dr. Destiny and his Freddy Kruger-like reign of terror over their slumber. And finally, Batman can sleep. The Justice League episode is much more psychologically complex than the one from SpongeBob SquarePants, which is befitting given the latter show’s focus on younger children and the former’s appeal to older children and tweens. Both cartoons, however, present a similar appreciation for dreaming as a means of expressing important emotional truths, especially those truths that seem most frightening to our waking minds. In the world of these two cartoons, dreams are portrayed as a valuable source of insight. Without putting too much weight on stories meant primarily as entertainment, it’s still fair to say that the resolution of each story teaches a basic respect for the power and wisdom of dreaming. These cartoons have, perhaps unwittingly, done a wonderful service of dream education for millions of children. This essay first appeared in the Huffington Post on Feb. 18, 2016. A cool new book has just been published, with special appeal to David Lynch fans. Fan Phenomena: Twin Peaks, edited by Marisa C. Hayes and Franck Boulegue, was released this month by Intellect Books in the UK. Other titles in the Fan Phenomena series include Star Wars, Buffy the Vampire Slayer, Dr. Who, and Batman. We’re in great company! My chapter in the book has to do with the portrayal of dreams in the initial episodes of the series, especially Agent Cooper’s dream at the end of the third episode. Apparently the ratings numbers went down precipitously right after this episode! Too weird for some people, but a breath of fresh air for many others. Other chapters in the book include “Peaks and Pop Culture” by Shara Lorea Clark, “Audrey in Five Outfits” by Angela K. Bayout, “Embodiment of the Mystery: Performance and Video Art Go Twin Peaks” by Gry Worre Hallberg and Ulf Rathjen Kring Hansen, “The Owls Are Not What They Seem: Cultural Artifacts in Twin Peaks” by Andrew Howe, “‘Yeah, But the Monkey Says, Judy’: A Critical Approach to Twin Peaks: Fire Walk With Me” by Scott Ryan and Joshua Minton, “Twin Peaks and the ‘Disney Princess’ Generation” by David Griffith, “Bond on Bond: Laura Palmer and Agent Cooper in Twin Peaks” by David Bushman, “Strange Spaces: Cult Topographies in Twin Peaks” by Fran Pheasant-Kelly, and “Gothic Daemon BOB” by Chris Murray. The American fantasy writer H.P. Lovecraft (1890-1937) wrote a series of interconnected short stories and novellas in which dreaming features as a frightening portal between the normal world of sanity and the unnamable horrors that lurk in every shadow. 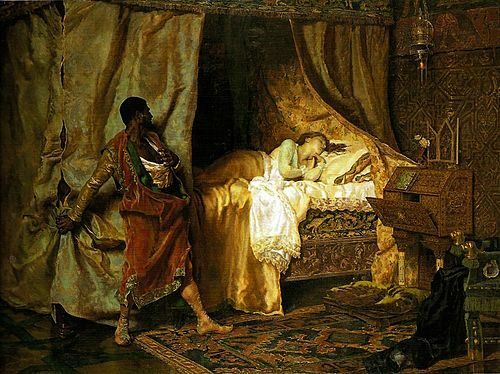 Dreams and nightmares are central themes in “The Dream-Quest of Unknown Kadath,” “Beyond the Wall of Sleep,” and “Hypnos,” among other Lovecraft tales. 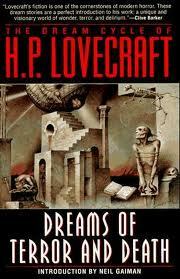 I’ve never made a detailed study of Lovecraft, beyond just reading and re-reading his stories for entertainment. I wonder if there are any Lovecraftian dreamer-scholars out there who have more to say about this.